Nothing has the ability to instantly influence our mood quite like music. With a short season this year, there’s not a moment to waste-so pick a playlist that fits your mood and start those sleigh bells ringing. 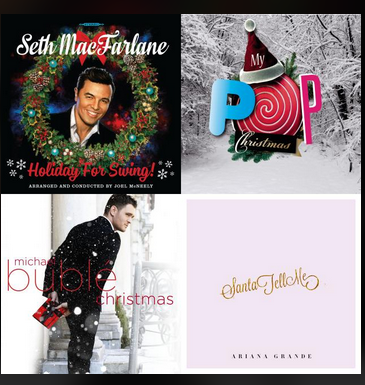 To decorate the house, trim the tree or pop the bubbly, try a little Christmas Cheer or if you need a little warm and fuzzy downtime, settle in for a cup of cocoa or hand-crafted cocktail with our Christmas Fireside playlist. Scarred by her childhood encounters with the “fake christmas tree backdrop” at the mall studio, and traumatized as a mother trying to capture her newborn under the direction of an ambivalent photographer, Lindsey Freitas swore off family photo shoots. However, as photography transitioned from an experiment to a full time profession, Lindsey embraced the family shoot, developing her own twist on how to approach the experience. I’m sorry but no family ever looked natural in a studio. The end. I’m a natural light photographer so I follow the light. I keep it to the basics. One camera and 2 lenses (85mm 1.4 prime and 35mm prime for you camera heads out there). No flash. No light bounces. No set up. The more artificial stuff you bring into your family’s photoshoot the more artificial your family’s photoshoot becomes. When I am shooting families I am literally chasing children, climbing trees, laying on the ground, rolling around, tickling, giggling & generally acting like a crazy person. Kids dig it. Remember that your family will not look happy, joyful and like they’re generally having fun UNLESS THEY ARE HAPPY, JOYFUL AND ARE GENERALLY HAVING FUN. What does this mean? Parents need to chill. Seriously. Your kid wants to pick up a bunch of leaves and chuck them my way? Awesome. Your kid sees a puddle and wants to jump straight in? Go for it. This is real life people. I promise you the images will reflect who your family really is in an incredible way and the process will be SO MUCH FUN. This doesn’t mean we will never get images of everyone looking and smiling-it’s actually so much easier to throw those shots in every once in a while because everyone is relaxed enough to look over and throw me a cute grin before we take off running again. Maybe not totally, but Pinterest is a lifestyle photographer’s worst enemy. Using boards for clothing and color schemes is one thing but pinning the exact family shots you want makes no sense for so many obvious reasons. My clients hire me because they know that they have no idea what to expect from the shoot and completely trust that I will see the magic and follow it as it happens authentically. Sometimes I show up at homes and see that their kitchen is totally adorable and filled with bright light so guess what we’re doing for family photos? We’re baking cookies folks. If you can’t be flexible then you leave no space for amazing things to happen on their own and you set yourself up for a whole lotta’ stress. From a visual point it’s best to choose colors/design in clothing that are not going to distract from the people wearing the clothes. Complementary colors are always fantastic (neutrals, darks, lights etc. etc.). Ideally you want to wear clothing that is both comfortable and stylish but I wholeheartedly reject matching family clothing. Avoid busy patterns, logos or cartoon characters and never choose opposite clothing colors-especially black and white. Big massive hair bows are adorable if your kid loves to wear them go for it but if they don’t, please don’t slap one on their head and expect them to look natural and giddy. You get the idea. As it turns out-these basic rules of thumb continue to result in images and experiences that my clients come back again and again for. My style is not for everyone and I still adore all of the matchy matchy mall photos I get from cherished family and friends every year-if you dig that then more power to you! But if you’re looking for something else in your family photos-chase down the right photographer until you’ve found a match. When I hire a photographer to capture my little bunch of rascals I make sure they have the same general position on family photography and I’m happy to report we have countless images of us throughout the years and I cherish them all-even last years family shoot that highlighted the black eye my 5 year old got that morning courtesy of our coffee table. So, smile like you mean it! Place all ingredients in a cocktail shaker with 5-6 large ice cubes. Shake vigorously and strain, splitting into two martini glasses. Finish by twisting a lemon rind over the glass and sweep the rim. If you have space for guests to unpack, that’s lovely, and a luggage rack eases the process. If their suitcase will also double as a closet/dresser an elevated rack is key. A dedicated place for the suitcase ensures the luggage, which has been out and about in public collecting dirt and germs, stays off the bed. The Claritin down alternatives pillows and comforters are an easy way to accommodate all guests comfortable, including those with allergies, and alleviate the need for keeping extra sets of pillows/duvets. Beside, who doesn’t’ want protection from dust mites, pollen and other allergens? A water carafe or bottled water bedside is handy too. Almost everyone needs a power source for phones, tablets and laptops-so make power easy and accessible. The Jackery Giant is a sleek, charger that blends seamlessly with any decor and will win over even the most particular of guests. A printed card or note with the house wireless network name and password is a nod to our favorite hotels that include access for guests free of charge. If the guest bath still features supplies from last year, it’s time! Fresh shampoos, soap, toothpaste tubes, extra toothbrush, pain reliever, tums, disposable razor and bandaids make all the difference. Once a quarter, rotate your guest room supplies into a bathroom in use daily to use up and replenish. Don’t forget the extra tp and plunger-no guest wants to have to ask a host for those items-and the girl products too! Whether you choose a few books or magazines or display a meaningful photo for your guest, leave a small gift on their bed or simply a hand written note-these are the touches that will start the visit off on the right foot! *Actually, welcoming guests begins at the door! 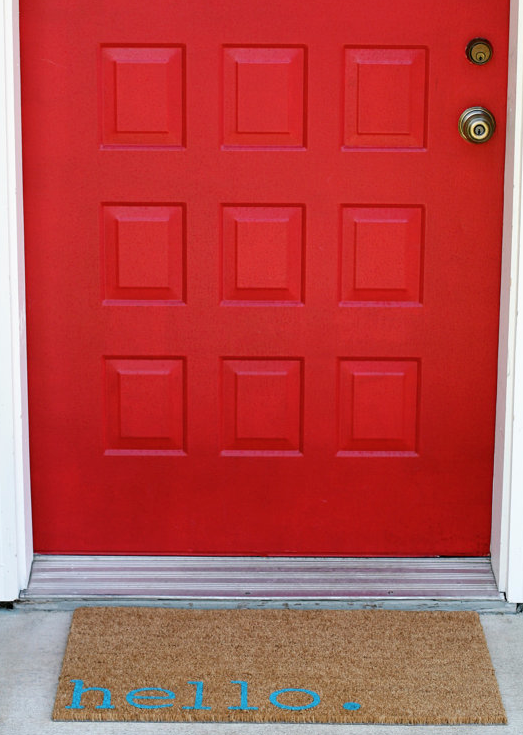 Try shopwelcome for a fresh take on the welcome mat! 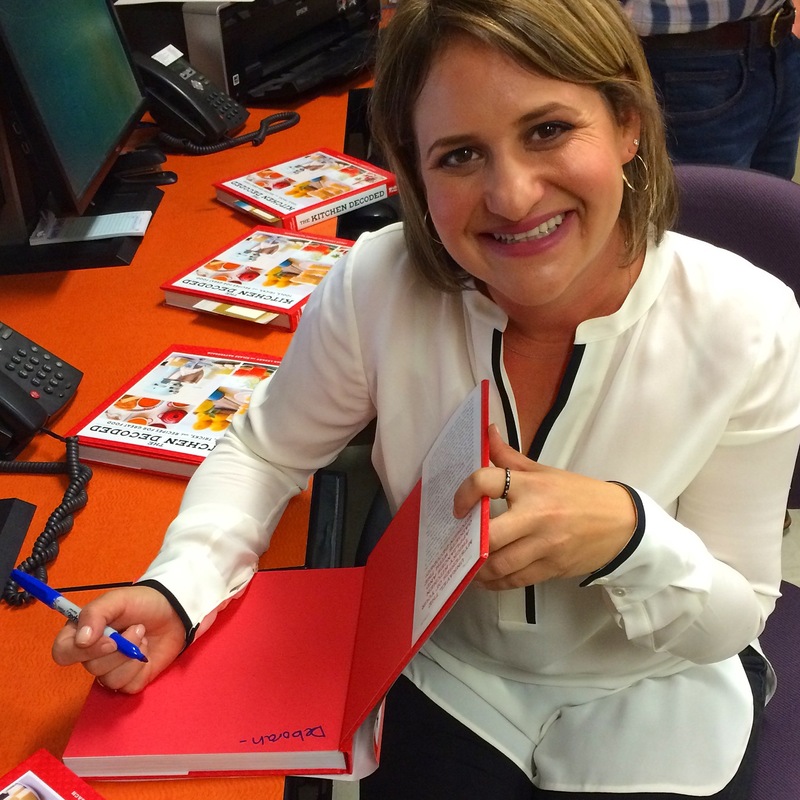 Logan Levant, owner of famed Buttercake Bakery in Los Angeles, has co-authored the new cookbook The Kitchen Decoded that’s at the top of our Hit List! Cleverly organized around the appliances and gadgets most likely already in your kitchen, the book seeks to demystify these tools (everything from the ice cream scoop to the KitchenAid mixer) and then put to good use in delicious, simple recipes. From the basics (such as spice rubs and marinades that require only a container with a lid) to the more complex (Arugula Pesto or famed Black Bean Patties that utilize a food processor) there is something to please each palate and skill level. Logan and co-author Hilary Hattenbach, co-founder of the blog We Heart Mac and Cheese, share a “trick” with each recipe (such as proteins to substitute in the halibut dish or advance preparation techniques) allowing anyone with so much as a spatula to get cooking with confidence. 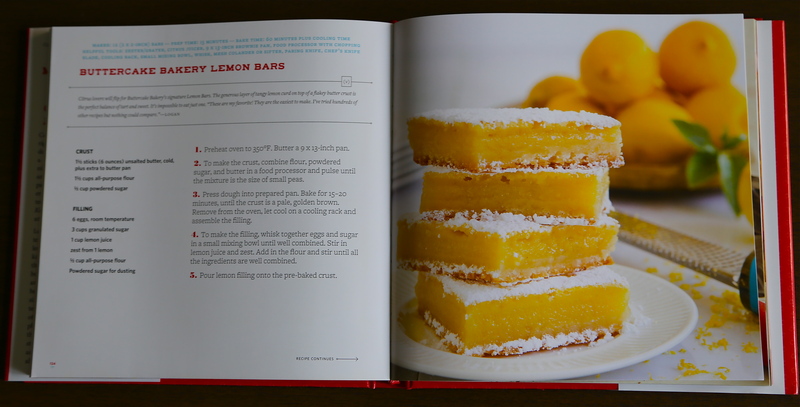 For a taste, try Logan’s favorite recipe in the book Buttercake Bakery Lemon Bars and you’ll see why this book is on our HIT LIST for everyone from recent graduates to those looking to sharpen their skills. Time flies so get cooking! Whether ancient or modern, all Yoga is a system built on: exercise, breathing, and meditation. The exercises increase the efficiency and health of the body, and breath, as the source of life in the body, is key. The combination of the exercise and breathing prepare the body and mind for meditation, and thus resulting in a “quieted” mind allowing health and healing. With more than 16 million Americans reportedly oming each year, it can be intimidating to join a phenomenon already in progress. We turned to Palo Alto’s Rebecca Horsley Bara for a little inspiration and answers to our deep ponderings. A mother of four, Rebecca had been teaching yoga in Palo Alto for 10 years when she realized her dream of opening her own studio, Vibe Yoga, in January of 2014. The fresh space in Menlo Park/Redwood City offers a welcome retreat from buzzing Silicon Valley, a place to improve the mind, body and spirit, with a strong emphasis on the power of community. With so many types of yoga-how do people determine which style or where to start? Yes, there are many types of yoga and it can be overwhelming. At Vibe, we offer all types of classes and our staff will sit down with you and ask you what you are looking for to find the best fit for you. If you are brand new to yoga, try Fundamentals class. To de-stress Restorative or Yin class, for more movement Vinyasa. For more of a workout there are power yoga classes that can be heated or non-heated and Ashtanga yoga is a set sequence of yoga poses. At vibe we offer pre and post natal classes as well as hot pilates, which is more like a boot camp. Although there are types of yoga where your will lay around and relax, like Restorative yoga, the majority of our classes are not like this. Yoga can be very physical and cardio, it is really an overall experience-yoga is for the mind, body and spirit. Many yoga students are extremely dedicated to their practice-some practice every day. What if someone only has time for once a week or once month-is it even worth it? People should do as little or as much yoga as they can fit into their lives. I recognize that we are all extremely busy but as with anything, the more you practice the better you will feel, this is especially true with yoga. You will find that you have more energy, feel better in your body, you will find yourself sick less often, you will look and feel younger and will find yourself happier and more content with you life, just to name a few benefits. You always leave yoga feeling better then when you walked in. Everything feels better after a yoga class. If you’re in Silicon Valley, join Rebecca and her team of talented, inspirational instructors on the mat at Vibe Yoga. If you live elsewhere or are traveling download the MindBody Connect app to locate a yoga studio near you. If you really want anonymity look for classes when on vacation-as many resorts generally have at least a basic offering. If you need bolstering, join a friend who is seasoned and can show you the ropes. Wherever you start, spend some time with the staff, letting them know your goals. The yoga world is more welcoming and far less intimidating than imagined, especially if you let it be known you are the newest member of this ancient practice. Remember it is never too early or too late to start yoking together. Namaste! Over 30 million Americans are affected by Type 1 and Type 2 Diabetes, and globally, the statistics are even more alarming: over 380 million. Type 2 diabetes is often, but not always, attributed to an unhealthy lifestyle and 80% of cases are preventable. Like Type 1 diabetes, Type 2 diabetes puts the person at greater risk for a greater range of complications. Type 1 diabetes, or T1D, is an auto-immune disease where the pancreas no longer produces insulin, the hormone needed to convert the glucose in food into energy for the body. Without insulin, glucose remains in the blood, where it can cause damage to all the organ systems of the body. People with T1D are insulin dependent and must inject or pump insulin into their bodies to stay alive and there is currently nothing that can be done to prevent this disease. T1D affects roughly 3 million Americans, with 80 new cases being diagnosed each day, half of those diagnosed each day are children and half are adults. People with Type 1 diabetes must carefully calculate their insulin doses with their food intake, exercise and other environmental factors in order to avoid life-threatening conditions. Every day is a careful balancing act, much like that which faces a tight rope walker, where one false step-one miscalculation-can have devastating complications. Knowing the symptoms of Type 1 is critical, as the symptoms can easily be attributed to more common, non-life threatening illnesses and misdiagnosis can often have tragic consequences. Symptoms include extreme thirst, frequent urination, sudden vision changes, fruity or sweet breath, sudden weight loss, drowsiness and labored or excessive breathing. It is not yet known what causes Type 1 diabetes, but most scientists agree there are genetic, environmental and auto-immune factors involved. While there is no cure, each day significant work is being done to improve care, incorporate technology for better management, and possibly prevent Type 1 diabetes, while continuing to search for a cure. For more information visit JDRF, the global leader in the fight against T1D and to see some truly inspiring people living with T1D, visit BeyondType1.